I.J. 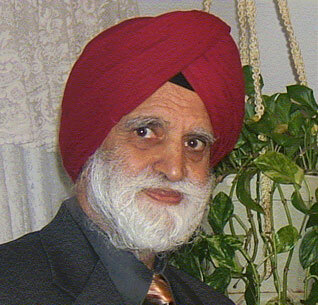 Singh is a New York based writer and speaker on Sikhism in the Diaspora, and a Professor of Anatomy. Circling the wagons - as a clarion call - will not do. We need to be both clearheaded and resolute. "In my world history class, I read that Sikhs are terrorists." Banning a movie and closing all conversation on it is like burning a book. The issues surrounding gurdwara granthis - their recruitment, selection, and appointment, as well as on-the-job working conditions - are rife with matters of both management and human concern. There is no guarantee that the people will not once again come out into the streets. Having tasted power once, they will likely exercise it again. Freedom Fighter Balwant Singh was to be hanged on Saturday, March 31, 2012. But the jail authorities in Punjab refused to follow the Court's orders. Why? I have run into many devout Sikhs who, like many Christians, look at their respective spiritual writings as literally etched in stone. We all have some abilities, however limited; talents that are useful and cannot be denied; ways to leave the world a better place than we came into. Power is addictive, even more than the best intoxicants that mankind has ever discovered or invented. We all seem to understand that; yet we can’t ever leave it alone. For Sikhi, speaking truth to power started with Guru Nanak when he addressed the conqueror, Babar, the founder of the Mughal dynasty who had ravaged the land he had invaded.